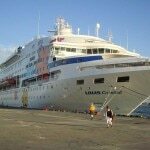 To meet the ship, we flew to Montego Bay, Jamaica, where the 1,000-passenger Louis Cristal picks up and disembarks travelers each Friday. Since Cuba still doesn’t have the infrastructure to service cruise ships, Jamaica is the ideal country for provisions and fueling. It’s also ideal as the base for Americans to visit Cuba because, as we discovered, Cuban authorities do not stamp passports, so Americans need only declare that they have come from Jamaica. For Canadians and others (there were actually twenty nationalities aboard), the ship also picks up passengers during its stop in Havana. As we boarded the Louis Cristal, we found a surprising number of modern facilities for an older ship — it was launched in the ‘80s and has had several name changes and major refits. There were only a few suites with balconies, but the rooms were comfortable and well equipped, with servicing by friendly room stewards twice a day. Since, in recent years, we’ve found Cuban resorts to be lacking in really good food, a huge plus on the Louis Cristal was its culinary team and provisions that came primarily from Canada and Jamaica. The executive chef is a Frenchman who supervises excellent meals in the buffet, the main dining room and in the Alberta Steakhouse, which costs an extra $39 per guest and flies its beef in from Calgary. The filet was especially good. 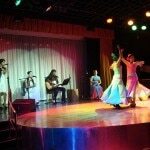 Visiting a resort usually limits any interaction with the real Cuba, so this cruise was a unique way to experience many sides of the country that tourists rarely see. After leaving Montego Bay, our first stop was the city of Cienfuegos. Called “The Pearl of the South,” its central core is a UNESCO World Heritage Site filled with colonial architecture, street musicians, horse-drawn carriages and colorful American cars from the ‘50s. A century-old palace, the Palacio de Valle, was particularly fascinating but, like many structures we saw throughout the country, badly in need of money for restoration. After a beach day on the Isle of Youth, with its warm, clear water and gorgeous sand, we sailed the next morning through the narrows into Havana Harbour. Approaching by sea offered a unique perspective of the harbor fortifications, the long seawall and the impressive skyline, dominated by the National Capitol Building, very similar to the U.S. Capitol in Washington but just slightly taller (for bragging rights). 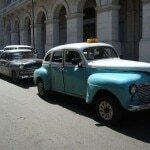 Havana is big — more than two million residents — but it’s also vibrant with a colorful cacophony of sights and sounds throughout the Old City, also a UNESCO World Heritage Site. Live musicians were performing on almost every street with plenty of people cramming the bars or strolling amidst pedal cabs, horse carts and taxis that were from another era. We took the Hemingway Tour that visited his home (from 1940-1960, with its hunting trophies and 8,000 books) and favorite bars. After a day at sea, we stopped at a small port near Holguin to visit the spot where Columbus landed in 1492 and enjoyed a display of aboriginal dances. We also visited a local farm to see the hard-working life and minimal luxuries of Cubans, particularly in rural areas. Our final stop was in the country’s second largest city, Santiago de Cuba. Like Havana, it’s a vibrant community filled with music and pedestrians and boasts handsome colonial structures that, sadly, are in dire need of repair dollars. The UNESCO protected fort at the narrow harbor entrance, El Morro Castle, offered a superb panorama of the ocean and countryside. Back on the Louis Cristal, a Santiago folklore dance group performed in the evening. 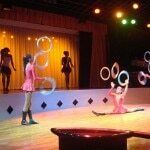 Other local performers such as the National Circus of Cuba in Havana and a Flamenco troupe in Cienfuegos also came aboard. The ship’s Cuban band and resident singers and dancers were outstanding, as were the acrobats from the Cirque Fantastic of Montreal. It was possibly the best cruise entertainment we’ve ever experienced. 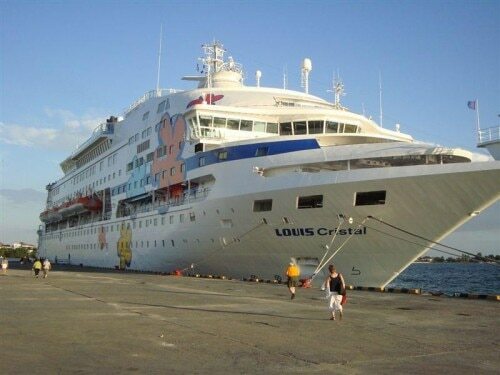 when, how long a cruise, how many passengers, HOW MUCH?? 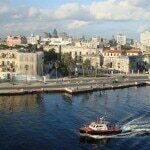 There is nothing to be seen in Cuba other than a destroyed country and a scared, hungry population. Not exactly the kind of scenery for a vacation. This is a cruise for mentally disturbed people, hop on! My wife and I would be very interested in taking this cruise. With us both being American’s how would we go about purchasing and all? If someone can get back with me on this, Id book it this week. Beautiful writing about my Homeland…makes me want to go on this adventure mostly because of the availability of meals on board ! After 52 yrs away I only dreamed this to happen !!!! Most unfortunate is that most of what passangers experience is not allowed by the population to enjoy. The most important thing (need) in life after H2O is “” FREEDOM “” and that the Cuban people have not enjoyed since Jan.01,1959. Great article. 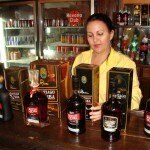 Where was the picture of the rums were taken?